Alex McDowell is an award-winning designer and storyteller working at the intersection of emergent technologies and experiential media. He is founder and creative director of experimental.design, where he and his team design immersive story worlds for industries and institutions. He is a Professor of Practice at the University of Southern California’s School of Cinematic Arts. As Director of the USC World Building Media Lab at the school, McDowell and his interdisciplinary students collaborate to build immersive worlds for storytelling across multiple platforms. The WbML was awarded the prestigious Future Voice Award at the 2014 Interaction Awards in Amsterdam. He also leads the USC World Building Institute, a renowned multi-disciplinary knowledge space. He is recipient from George Lucas of the William Cameron Menzies endowed chair in Production Design. 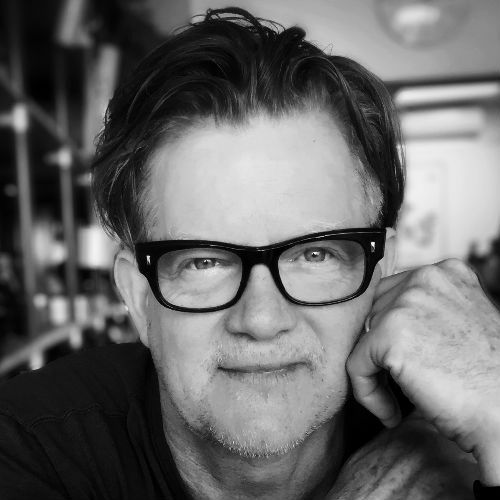 McDowell has 30 years experience as a production designer of feature films, working with directors David Fincher, Steven Spielberg, Terry Gilliam, and Anthony Minghella amongst others. As Visiting Artist to the MIT Media Lab (2005-2010) he designed the robot opera “Death and the Powers.” He is a Getty Research Institute scholar, and a member of the AMPAS SciTech Council. In 2006, he was awarded Royal Designer for Industry by the UK’s Royal Society of Arts, and in 2013 UK Designers & Art Directors President’s Award.